I think anytime I use Daffodil Delight as the main color on a project, it makes me happy. Yellow is my happy color. Here are the cards for Day 4 of my Petal Passion OSW. Don't you just love them? 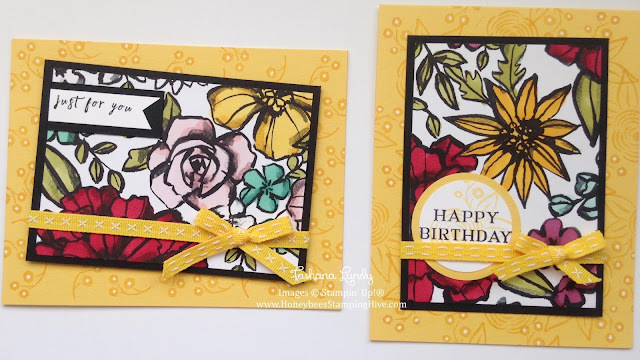 I stamped the backgrounds and sentiments using the Perennial Birthday stamp set and added some 1/4" Double Stitched Ribbon to finish the cards off. I truly love the way these came out.